In Belfast Gary Murray was 2nd in the Titanic 10k in 30.53. 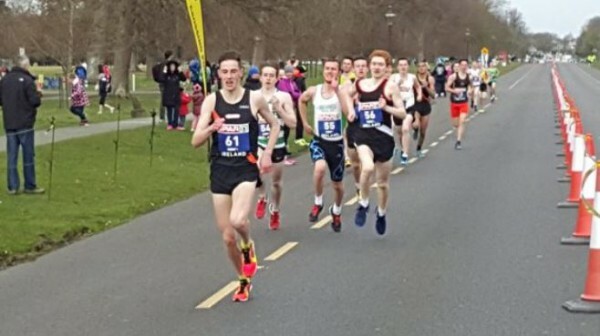 Mark Kenneally added the National 10k road title to his 10,000m title in the Phoenix Park today. The National 10k was held in conjunction with the Spar Great Ireland Run which attracted a field over over 10,000 runners. Kenneally was first Irishman home in 7th place in a pretty nippy 29:23. The Great Ireland Run was won by the great Kenenisa Bekele in the fastest ever 10k run in Ireland, an equal 2012 World Best of 27:49. 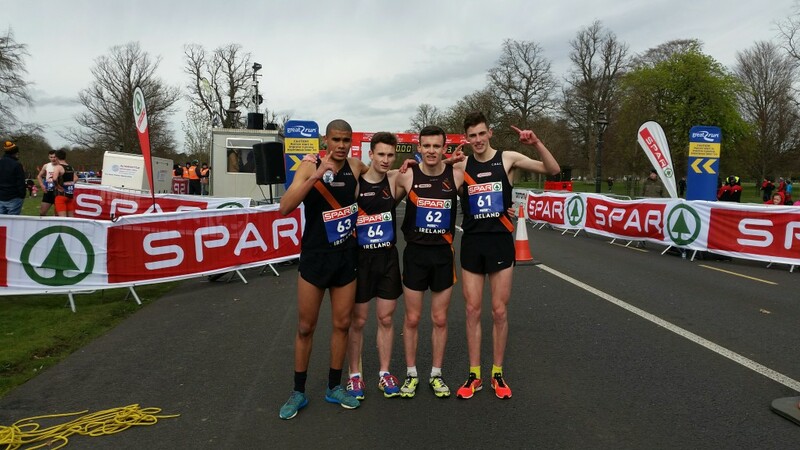 Other Clonliffe in the men`s race included good runs by Ernie Ramsey, Darren Reilly, Ger Kirwin and Joe Phibbs. In the ladies race Sarah McCormack was well up in the early stages and was rewarded for her fine run (35:15) with National Bronze. Final results not yet to hand. Next Sunday`s Spar Great Ireland Run in the Phoenix Park looks like it`s going to be one of the races of the year. London bound Mark Kenneally is in an elite field that includes the cream of world distance running including reigning Olympic 5,000 and 10,000 champion Kenesia Bekele and Ayad Lamdassem runner up in the European Cross Country Championships in both 2010 and 2011. The event also incorporates the National 10k Road Championships with strong Clonliffe mens and womens teams, the men`s team is certain to figure and the women`s team is also looking very strong and includes Sarah McCormack who impressed all in her debut run for the club in the National Cross Country where she placed 4th. In the run up to the race Clonliffe Massage and Physical Therapist Mark Bermingham of MB Sports is offering massages at a special rate of €25 per session. To book your preferred time contact Mark asap on 086 6691545. Apr 6, 2009  Congratulations to Mark Kenneally and Sergiu Turea on their performances in Sunday’s Great Ireland Run. Mark was involved in the front pack for 6km before his run at the World Championships last weekend began to take it’s toll. Eventually finishing 6th in a time of 29.34 while Sergiu was 19th a little over a minute behind in 30.37. Also donning the black and amber on the day were Declan Murray (39.45) and Alan Worrall (41.13). Also spotted was former Clonliffe athlete Erin McVeigh. Well done to the Clonliffe athletes that were working at the event as well.